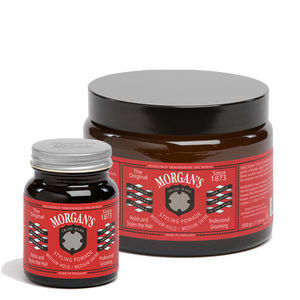 Medium shine and medium hold in a vintage-style jar! 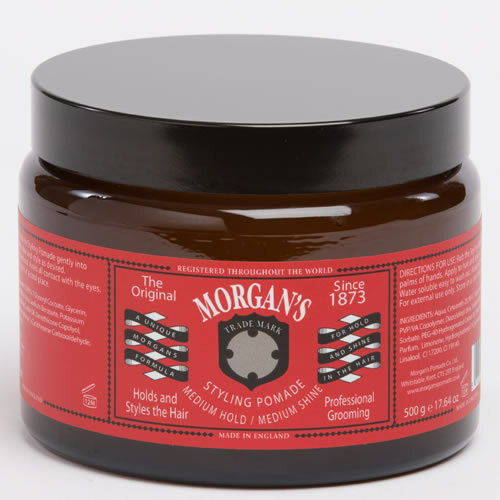 Morgan's Styling Pomade Medium Hold is great for normal hair to maintain flexibility and can be restyled throughout the day. 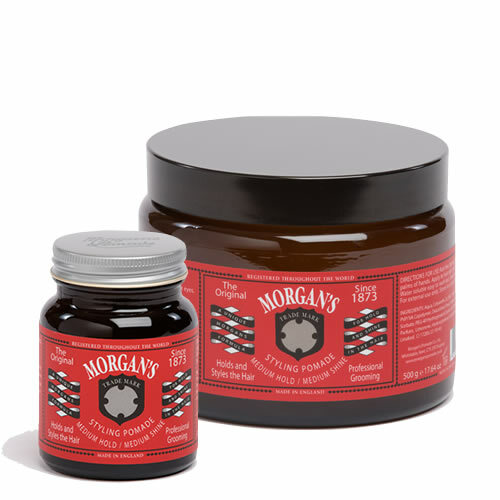 Sporting Morgan's own signature fragrance of bergamot, jasmine, sandal and patchouli, this pomade allows you to control its strength and degree of shine. 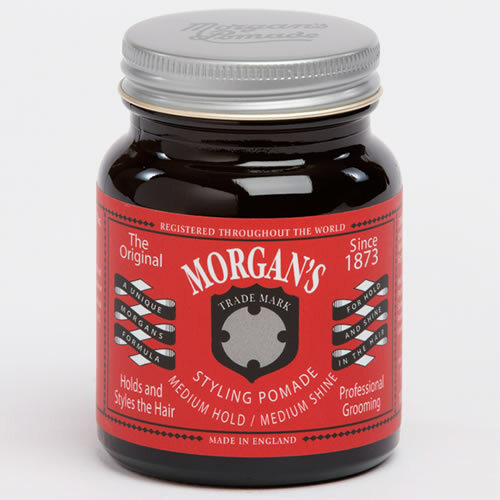 It's good for delivering slick backs and pomps and is suitable for all hair types of medium length. It's water-soluble and therefore easy to wash out. Comes in a 100-g or 500-g jar. £5.46 (inc. VAT) Why no VAT? We're a trade wholesaler and quote our prices without VAT to help our VAT-registered customers understand the true cost of a purchase. A luxury hair oil that restores, nourishes and hydrates dry hair whilst promoting shine and manageability. 8 large, widely spaced teeth make the The Pompadour superb for getting perfect lines in the hair and for combing wet products through it. Available singly in 4 different colours: Black, Clear, Red or White. Or as a retail box of 24 (in either Black or Assorted - 6 of each colour).